What Is the Importance of Food Safety and Sanitation? Food safety is essential in protecting individuals from bacteria and parasites that can be passed through food consumption. By practicing safe food handling, illnesses and fatalities can be prevented. 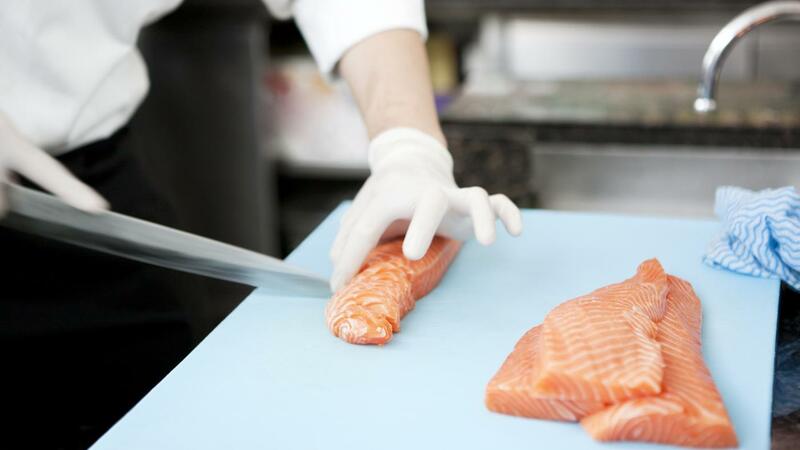 Safe food handling begins at production and continues through the preparation process. If unsafe handling has occurred at any stage, there could be a potential of danger. There have been times when contamination has taken place at the meat production and processing stage, and if contamination occurs during manufacturing, a consumer could inadvertently cook contaminated meat. To avoid this food risk, state and federal guidelines have been set in place. These guidelines allow officials to inspect meat production and processing plants so that potential contamination risks can be addressed. In 1906, the Meat Inspection Act was implemented to protect consumers against poor food handling practices. The Meat Inspection Act was amended and replaced in 1957 by the Federal meat Inspection Act, which provided higher standards for meat handling. The FMIA has the power to inspect and cite any plant to ensure food safety. Any plant that repeatedly fails to comply can be temporarily shut down. Food handling safety is just as important at the consumer level because many consumers have contaminated food through a lack of awareness. By practicing hygiene prior to handling food and ensuring that all utensils and surfaces are clean, food contamination can be prevented. Food safety also requires that food is cooked to and stored at a safe temperature. The best way to ensure that food is safely stored is to allow food to thaw in a refrigerator. Cross contamination is also a common cause of food contamination. By always using clean utensils and surfaces that haven't touched other food items, the risk of cross contamination can be greatly reduced. What Are Food Safety Temperatures? How Do Companies Determine Food Expiration Dates? How Long Can Cheesecake Last in the Refrigerator? How Do You Keep Fudge Fresh?